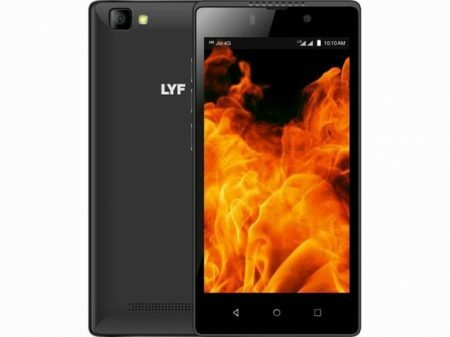 Lyf comes with a new budget smartphone called Flame 8 to the market. It costs around Rs.4,199 in India and $94 in USA. Currently, Lyf Flame 8 is available in online shopping sites like Amazon, Flipkart etc.. Look at it’s complete advantages, disadvantages, price & specifications. FWVGA Touchscreen Display, 16M Colors. 8 MP rear camera, 5 MP secondary camera. 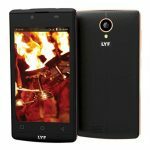 Lyf Flame 8 runs on Android OS, v5.1 (Lollipop). It flaunts 4.5-inch FWVGA Touchscreen Display with Multitouch in it. It is incorporated with 1 GB RAM. Constructed with 1.1 GHz quad-core processor. Supports Dual SIM feature in which both slots are for Micro SIM’s. Brings storage of 8 GB with memory expansion up to 128 GB via microSD dedicated slot. Comes with 8 MP rear camera and 5 MP front facing camera and with flash feature. It has a pixel density of 218 pixels which gives you good clarity. Incorporates with a good battery capacity of 2000 mAh which is user replaceable. Performance is better without any lags. Supports all connectives like Wi-Fi, Bluetooth, GPS, USB, 3G, 4G. Support sensors like Proximity sensor, Ambient light sensor, Accelerometer, and Gyroscope. Design and build quality is great. Available in multiple color variants like Black, White. Device runs on outdated OS. Available in two color variants only. Battery capacity is bit low. 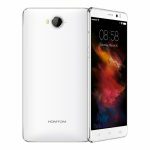 The specifications provided by handset are not up to mark. It is worth for its price .If you are looking for price rather than features then it is OK. If your budget is around Rs.4200 /- go for it.